Why Work at Rollins College? From our idyllic location and vibrant culture to our unbeatable benefits, learn more about what makes Rollins an ideal place to work. 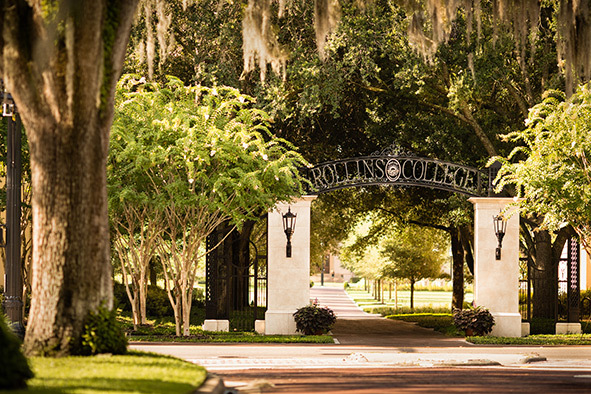 Our lakeside campus in picturesque Winter Park, Florida, is just one of the reasons to work at Rollins. We are Rollins, one of America’s best colleges. We offer applied liberal arts and graduate business education that prepares students for success in the real world. Our vibrant community of accomplished teacher-scholars, writers, artists, musicians, scientists, administrative professionals, and support staff share a passionate commitment for helping others discover their full potential through education, engagement, and service. A strong emphasis on collaborative research, international field experiences, and community-based learning programs. Located on a beautiful lakefront setting in picturesque Winter Park, Florida, we offer the opportunity to work at a progressive, top-ranked college while enjoying everything our central Florida location has to offer including Florida’s natural scenic beauty; a sunny, tropical climate and easy access to Gulf and Atlantic coast beaches; varied educational, cultural, artistic, recreational and athletic opportunities; and close proximity to one of the nation’s most dynamic urban centers, Orlando.